kitchen), things can get crowded and cranky if we don't plan ahead. I'm not really one for a perfectly scheduled day, but I do like to have a mini checklist of the must-do's we need to have in place before school starts each day. Even though we school at home, things are pretty much chaos without them. 4. Vitamins. My kids have no problem taking vitamins when they taste so good. 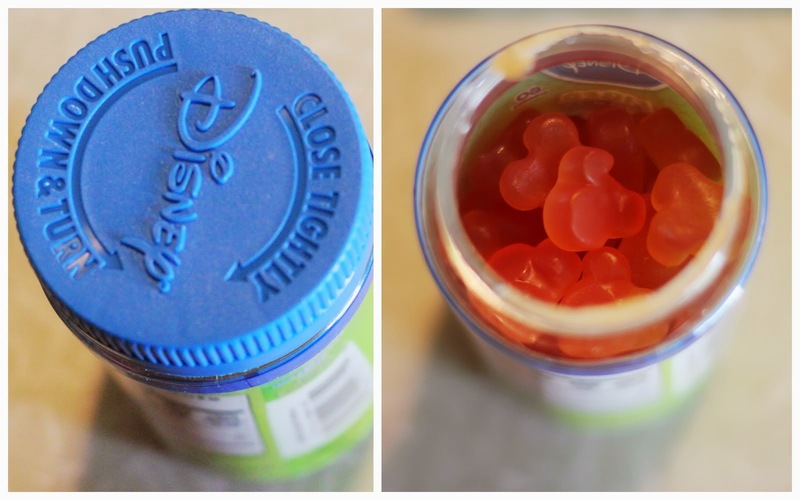 We have been giving the kids (and the grownups) the Disney Gummies for over a year. They come in sugar-free for those who are watching calories and carbs. (Note: My kids love these so much, that I have to watch them very carefully. Always dispense them for your kids. The younger ones would have more than they should if they were to get into them.) Available at Walmart.com on Rollback for $4.27. 5. Breakfast. This is the best part of our morning! While we have hens on our farm and get a dozen fresh eggs a day, there are those times when it's easiest to pop a frozen breakfast sandwich in the microwave. Our faves are the Jimmy Dean boxes with enough for everyone, like the Pancakes and Sausage on a Stick (for the kids) and the lower-calorie Delights (for me.) Under $7 for each box at Walmart. Served with fresh fruit or the Great Value Frozen Fruit cups they are pretty filling. (My kids don't even wait for the fruit to thaw, either. It's like an extra special treat to eat them this way.) Box of 4 cups is just $2 at Walmart. And then there is the OJ! We don't drink juice more than once or twice a week, but when we do, we enjoy big, tall glasses of the stuff! All of this should take no more than an hour, including clean-up, but it's so important to set the tone for the rest of the day. We also use this time to discuss our goals and pray together as a family. While our mornings don't usually go perfectly, we do try to put as much consistency into place with this first hour. What morning rituals are important to you and your kids? Do you take shortcuts or rely on "easy" products to help you through?